We had our first overnight guests this week – my sisters and brother! 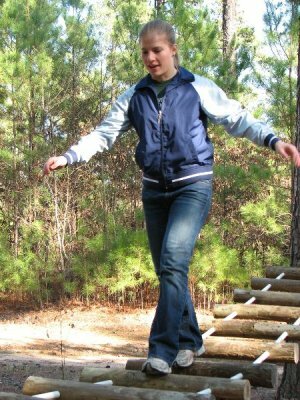 Besides cooking, playing games, scrapbooking, playing carpetball and shelling pecans we also spent an afternoon on the low ropes course. 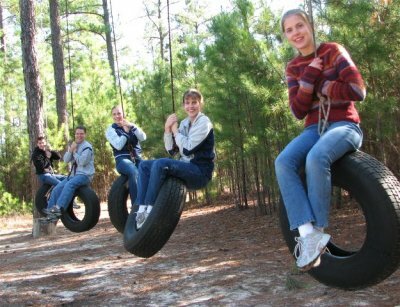 Here’s everyone on the tire swing challenge – you had to make it from one tire to the next. 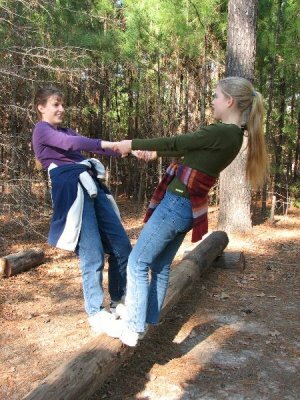 Stacie and Lori demonstrate how to pass each other on a log while Amy crosses the “perilous” footbridge. Amy prepares for a trust fall – would you trust this bunch to catch you? Brian and Brian make a death defying leap across the alligator pit, grabbing the rope and swinging to safety. 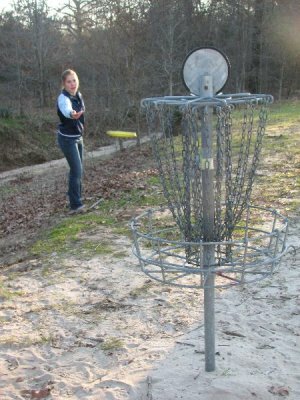 To finish off the afternoon we added Kevin to our group and went into Tyler to play frisbee golf. 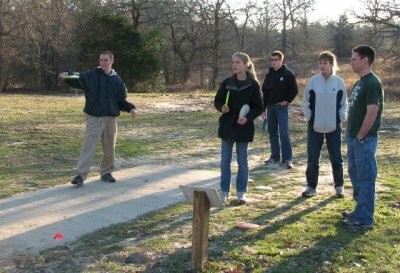 We split into three teams and played a very fun 18 hole course. Kevin and Lori ended up winning but Brian and I followed with a close second. I’m pretty good at the short shots but was very thankful to have Brian for anything over 30 feet. In all it was a wonderful visit and I had a blast talking, laughing and reliving old times.